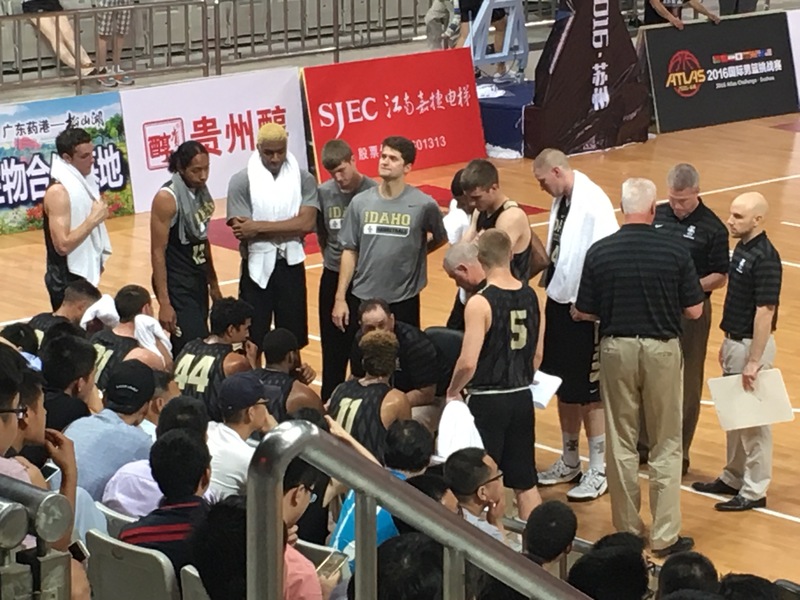 Here are the surprising things about Idaho's opener at the Atlas Challenge in China — a 71-69 win over the Lithuanian national team early Tuesday morning, late night local time. Pat Ingram grabbed a steal with 16 seconds left and took it the length of the flour to lay it in with the foul, converting the and-one. The not surprising thing? 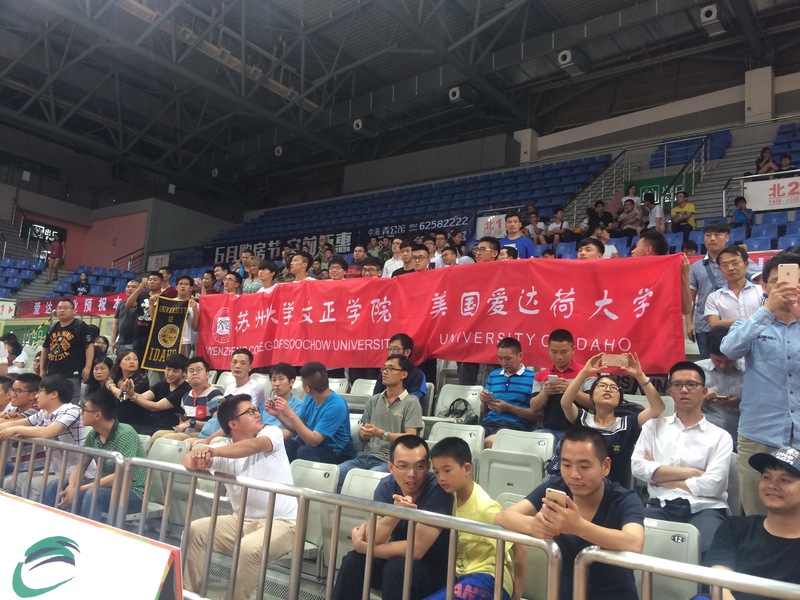 Victor Sanders was fouled shooting a 3-point shot in this game. It's just what the Portland native does. 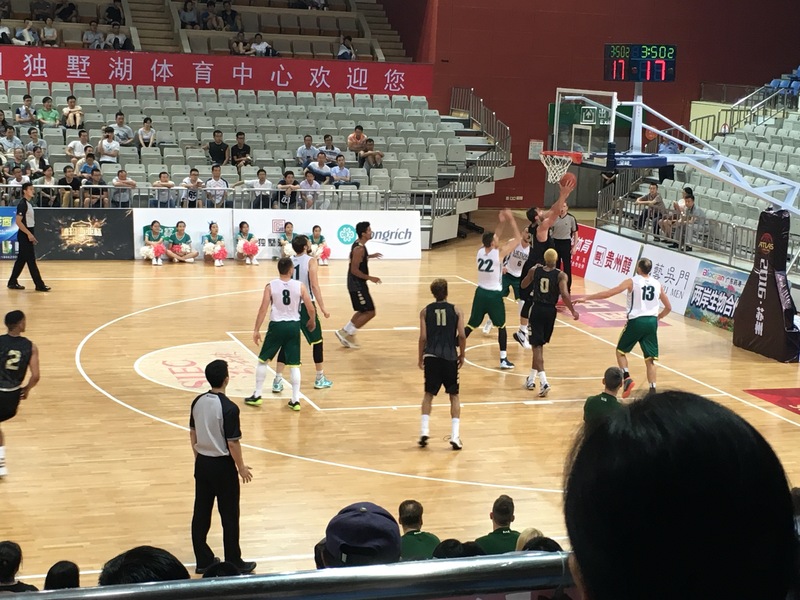 Idaho opened its China tour with a win over the reserve squad of the Lithuanian national team, which is trying to scout younger players before the 2016 Rio Olympics in August. Jordan Scott led the way with 11 points, including a pair of 3s. That's a good sign from the to-be junior, who has played more as a power forward than a stretch forward in the past. Redshirt freshman point guard Myles Franklin drained a couple of 3-point shots. True freshman Trevon Allen made his Vandals debut with a couple of assists, although he didn't attempt a shot. 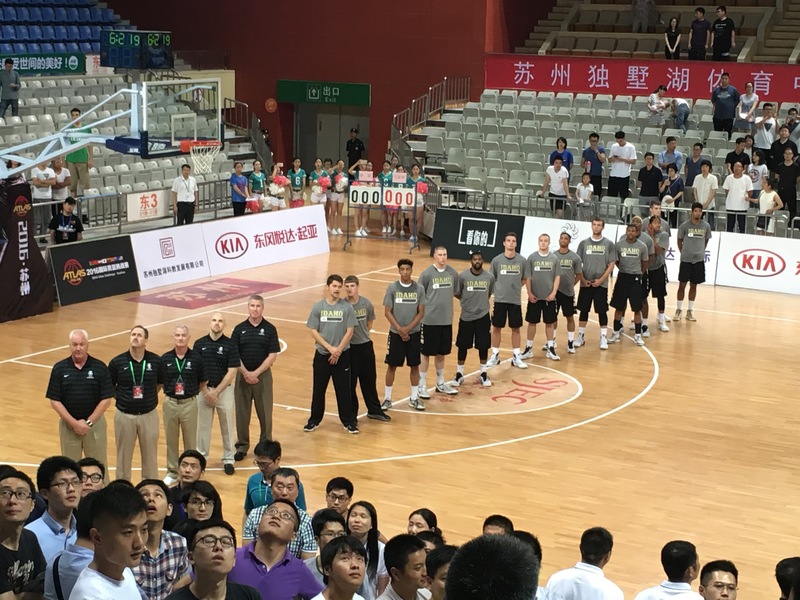 The international 3-point line is just under a foot deeper than the NCAA line. That didn't cause many problems for Idaho, which went 8 of 19 from beyond the arc. Sanders, however, only connected on one of his five attempts. Idaho next takes on Iran at 6 a.m. tomorrow morning. Here are some photos courtesy of the Idaho men's basketball program.